What's the best notation for musical navigation? Lots of times I'm asked to play songs from printed notation which has been typeset to minimise the number of printed pages. It's OK when the musical structure is relatively straightforward, and the music contains just 1st and 2nd time bars and maybe a DS or DC and a Coda. But - often the structure is much more complex than that - so the 1st time bar might be played on the 1st, 2nd, 3rd, 5th times through, and there's also 4th and 6th time bars, sometimes there a DS and a DC. I find I cannot navigate this at speed - I need to spend several minutes mentally threading though the music, rehearsing the jumps. And even then it's often ambiguous what's intended. Often I resort to write a sort of meta-notation, e.g. V1 V2 Chorus V3 bridge Chorus Chorus. But that means I have to try and read my structure notes and the actual printed notation at the same time so my eyes are darting round the page. Not good. My question is - is existing musical notation the best way to describe the macro structure of music, with lots of repeats, cuts, jumps and so on? If it's not, what's a better way of notating structure? Or is it that existing notation really is good, but it's being used poorly? Are there any conventions to notate the macro structure of music as unambiguously as possible? Things to avoid? For a recording session, where expert musicians perform after little or no rehearsal, repeats, coda jumps etc are NEVER used. It's all 'written out'. When preparing a score, we need to balance these two extremes to suit the content and expected use of our score. And yes, as a pianist who, in this imperfect world, often gets thrown less-than-optimal dots to sight-read, I have my own methods of doing a quick mark-up, which I don't suppose are a lot different to @Brian THOMAS's. Don't kvetch too much. It's partly because we can cope with these things that we GOT the job. Not the answer you're looking for? 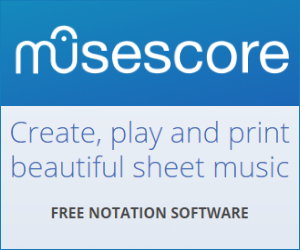 Browse other questions tagged notation musical-forms or ask your own question. What is the musical form of Stravinsky's Rite of Spring? How to notate popular/contemporary song structures?